The truth is, most people, especially millennials, are reluctant to negotiate their salaries. In fact, they’re not doing it all. According to PayScale, only 37% of millennials have ever asked for a raise. It may not seem like a huge deal to accept a salary without negotiating or to delay your raise request to the next year, but it all adds up. According to salary experts, not taking advantage of salary negotiations can cost you up to $500,000.00 to $1 million over the course of your life. That’s a lot of dough. If you want to get those dolla dolla bills y’all, you need to be prepared to negotiate your salary. To do that successfully, you need to be in the know from every angle. Check out our negotiation tips for newbies so you too can make it rain with hard earned cash. Research externally and internally. Use websites like Glassdoor.com and Salary.com to figure out the salary range for your position. Geography and costs of living are enormous factors to consider – focus on what other people in your industry and location are making. Use statistics to guide you toward an appropriate asking number. Print out the most beneficial salary statistics so you can present it as hard evidence during your negotiation. This not only boosts your case, it shows your bosses you came prepared and that you mean business. Don’t be afraid to ask your close colleagues and friends for guidance as well. Discussing salaries can be uncomfortable, but if you have built rapport with your coworkers, they will be more likely to be open and honest with you. If possible, ask the more seasoned employees for intel on how your company deals with negotiations. You can use all this information to approach your negotiation with tact and savvy. Know what the company wants. Negotiating should be viewed as collaborative problem-solving. You need to know what the company wants and the problems they are struggling with. Have a solid, outlined plan that addresses clear points stating how you can be (and have been) an integral part in achieving your company’s goals and solving their problems. When you ask for a raise with facts and a solid game plan in front of you, it is essentially saying help me help you. You know what they want and you have proven you can help give it to them, all they must do is bump your salary and wait for the results. Make it easy for your bosses to agree with you. Know more than just money. Your bottom line isn’t always about your yearly salary. If negotiating your salary isn’t an option, then you should advocate for improvements in other ways. Consider the full compensation package, including flexible hours, health benefits, paid time off and perks. Your benefits package can have a significant impact and therefore shouldn’t be overlooked. Often, younger people will not pay enough attention to their health benefits, but down the road it becomes increasingly important with age. Make sure you have the necessary amount of coverage to keep yourself protected and comfortable. Discuss your benefits with your employer. Know how to ask the right questions and to ensure you’re getting what you want. What does this mean? Practice, practice, practice. Play out different scenarios with your friends so you’re prepared from every angle when it comes down to the real thing. Put yourself in your employer’s shoes. Think of any pushback they will have for you and be prepared to answer those counters with confidence and poise. A negotiation has its own unique power dynamic. You won’t be successful in the negotiation if you falter, seem unprepared or unsure of yourself. Why should they give you anything that you don’t truly believe you deserve yourself? So, channel your inner strength and proceed with humble confidence that is to be respected. Prove to your boss that you are a powerful force, an asset to the company and therefore deserving of a raise. Need more negotiation advice? 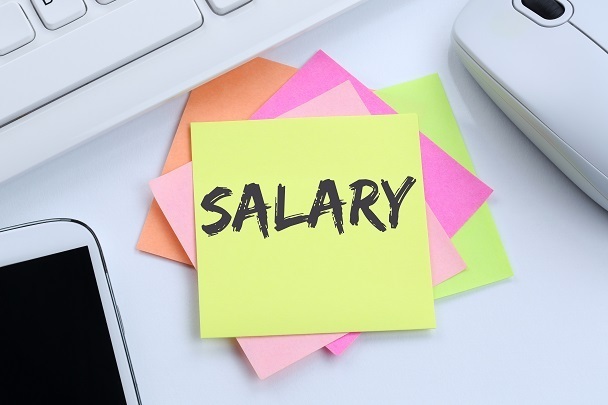 Check out what our own career expert and recruiter, Michele Mavi, has to say about salary negotiations for first-time job seekers.